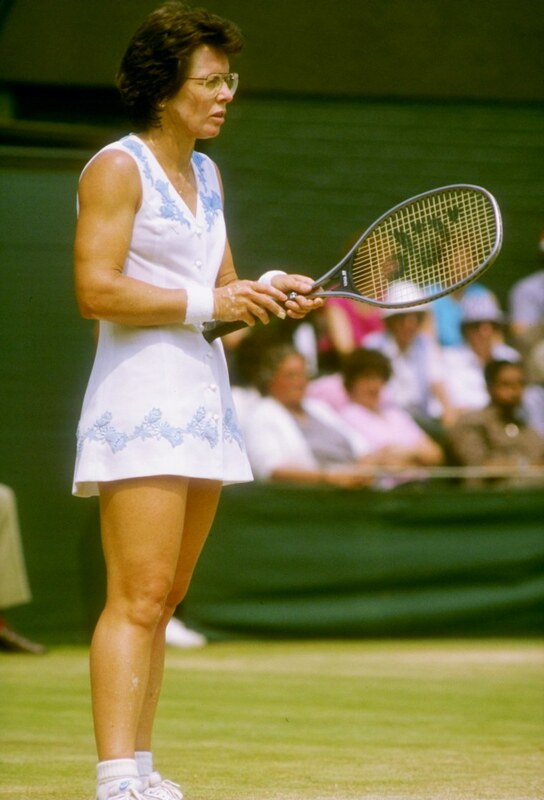 On the 44th anniversary of her win over Bobby Riggs, Billie Jean King — played by Emma Stone in the new film “Battle of the Sexes,” which chronicles King’s 1973 match against Riggs — recalled a different, but perhaps equally important, event in her life: becoming one of the first athletes to be publicly outed. "It was horrible," King said of the 1981 incident. When the news broke, she said her lawyer and her press representative urged her not to admit the truth, but King refused to deny her identity as a lesbian. When asked, in retrospect, if she would do anything differently, King said, "I'd come out earlier." "Now, the younger ones obviously are like, 'What's the big deal?'" King said. While she noted the difference between her own experience and the experience of many LGBTQ people today, who are coming out in a more progressive society, King said she does not want others to go through what she did. "Unless somebody's ready, they shouldn't be outed," she said. King sent a heartfelt message to LGBTQ youth who are still grappling with their sexual and gender identities. “You are going to make it, but the most important thing is, I think, is first you gotta feel safe, and you need to have allies with you” she advised. The trailblazer added she supports the different ways LGBTQ teens are expressing themselves and their identities. For example, she said she admires that they've adopted the word "queer," which was at one time used solely as a derogatory term. "I really like it," she said. "They’ve taken a negative and turned it into a positive. I think it’s great." King said the bottom line is that she wants the LGBTQ community "to be safe" and "have the same opportunities as anybody else." To that end, the tennis legend created the Billie Jean King Leadership Initiative to help create a more inclusive workplace that will ensure equal pay and encourage self-expression. Although King has long been an inspiration to LGBTQ individuals and athletes of all genders and sexual orientations, she said she is “not finished.” Now, she is challenging the younger generations to do what they can to create a more inclusive world. “Battle of the Sexes,” also starring Steve Carrell as Riggs, is now in theaters.